It’s been a busy week for Chef Dennis but then again it is that time of year. While the month of May signals the close of the school year is near, it also means that the busiest catering month of the year is upon us, and that means that my culinary team gets a chance to show what they’ve learned through out the year. I promise to have more on our adventures at the Mount and some pictures to go with it next week!Let’s get to the reason why everyone is hear today, its guest post Friday! I really do enjoy this day, letting my friends take the stage at More Than A Mount Full, and seeing all the wonderful creations they come up with. Today my friends is no exception to the case!Its my great pleasure today to introduce you to one of the rising stars in our foodie community, Katrina from In Katrina’s Kitchen. I have been drooling over Katrina’s creations for some time now, and was overjoyed when she agreed to do this guest post for me. Katrina is that kind of cook that instinctively knows what to make you, from the whimsy in her creations to comfort food at its best, and then theres dessert….sigh…..she had me at dessert! I am so honored to be posting here at More Than A Mount Full. When Chef Dennis contacted me about being a guest blogger I felt like I had won the Blogging Oscars! I love checking in with Chef Dennis. He is an honest blogger and he really cares about what he’s doing. Not to mention he makes great food! I know you are anxious to get to the food so I won’t go on too long but here’s a little bit about me. I am a full-time mama to a houseful of boys who like to eat. Right now my sons are still young but they can pack it away like their dad. I am afraid to think about what my grocery bill will be in 10 years with two teenage boys! 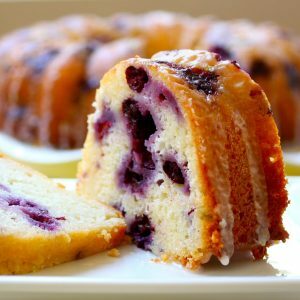 My blogging journey began earlier this year mostly as a suggestion from friends and family who were often telling me that they would love to be able to bake the things that I do. I didn’t see any reason why anyone couldn’t do what I do in the kitchen so I started posting my recipes. I do enjoy cooking but baking is my first kitchen love. Baking bread is especially rewarding. 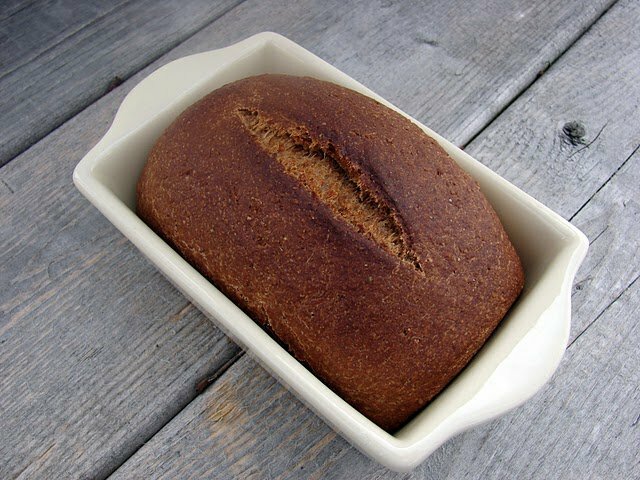 This Black Bread recipe is a great addition to a springtime dinner – perfect alongside a grilled steak or chicken dish. I hope you’ll try it out! I created this recipe to match the feel of the bread you get at a steakhouse. You know the bread I’m talking about don’t you? We sit down to eat, order our salads and steak, and ready ourselves for an already-too-huge-meal. Then out comes the warm loaf of deep brown bread with a dish of creamy butter. What willpower? *Sigh* Don’t you just love the color of this bread? The stronger the coffee you use the darker the bread will turn out. This recipe yielded 4 mini loaves but you could certainly make one regular loaf. Or, just make the loaves free-form if you don’t have mini loaf pans. Those who know me know that I’m not fancy. I am usually baking with a baby on my hip and a Hot Wheels car in my hand. Baking is relaxing to me as I dodge toys strewn across the kitchen floor and dishes waiting to be washed during naptime. The yeast does all of the work. Once you get this bread rising you just come back and check on it every couple of hours (You know, in between rounds of doing the Hokey Pokey and watching the same movie for the 500th time that week – What? You don’t do these things?). 1. Dissolve yeast in ½ cup warm coffee until foamy, about 10 minutes. Set aside. 2. In a separate bowl mix flours, cocoa, and salt (and fennel/caraway if using). Set aside. 3. In the bowl of your mixer combine 1 cup warm coffee, oil, molasses, and brown sugar. Switch to the dough hook attachment on your mixer. 4. At a low speed add the yeast mixture. Slowly add about half of your flour mixture until you can turn it out onto your floured countertop. 5. Knead in the remaining flour mixture by hand. It will be a sticky, firm dough. 6. Form into a ball a place in a well-greased bowl. Cover with plastic wrap and let rise until doubled, about 1 ½ to 2 hours. 7. Gently deflate dough and turn out onto a lightly floured surface. 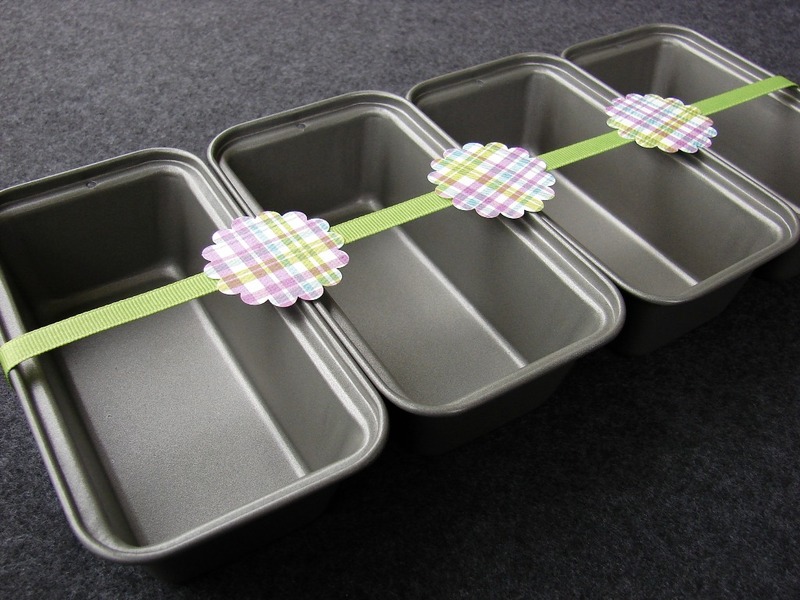 Form into 4 greased loaf pans, or 1 regular loaf pan. These could also just be free form on a baking stone. Let rise again until doubled and puffy, about 45 minutes to an hour. Using a sharp knife slash across top of the loaves. 8. Preheat oven to 350. Place a rimmed baking sheet on the bottom rack while heating. Just before baking the bread add about 2 cups of hot water to the sheet to create steam in the oven. 9. Bake at 350 for 30 – 45 minutes. Bake time will vary depending on your loaf size or if you used a loaf pan at all. 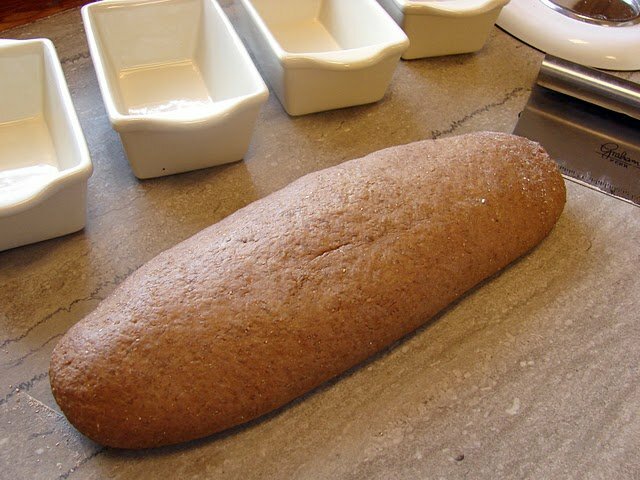 · You can make this bread without a mixer using a large bowl and wooden spoon. · This is a very dense dough and needs the time to rise. Don’t be discouraged if you don’t notice it rising right away. 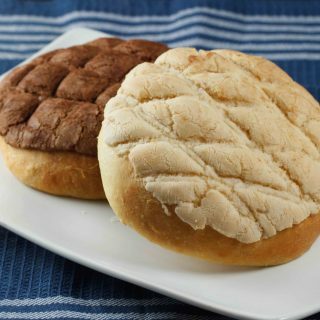 · This bread can be sweet or savory. Add the ground fennel and caraway for a savory loaf; simply omit it for more of a sweet taste. And here she is creamy butter and all. Go ahead and eat a loaf all by yourself. Save your willpower for another day. By the way, this bread makes excellent croutons! Cut it up into cubes and let dry out overnight. Spray with cooking spray and sprinkle with garlic salt. Bake at 300 for about 10 minutes or until dry (baking time will vary depending on how small you cube the bread). Didn’t I tell you that was going to be a great post, I can almost smell that delicious black bread baking!! Now on top of that wonderful guest post from Katrina, she is also allowing me to let everyone know that she is hosting a giveaway on her page!! Not that you needed a reason to visit In Katrina’s Kitchen, but now you have another reason to stop by and say hello to Katrina, just remember to tell her that Chef Dennis sent you! All you have to do to enter to win this set of mini loaf pans is to leave a comment for Katrina on her blog, and if you want an extra chance leave Katrina another comment telling her chef Dennis sent you! What an easy way to get two chances to win! Thanks so much for stopping by today, I hope you all know that I do appreciate your support! Happy Mother’s Day to all the mom’s out there, and please don’t forget your mom. Where would we be without our Mothers, they teach us so much about life and give us so much unselfishly. Thanks Mom for always being there, and for loving me unconditionally. I made this bread last night. The smell is incredible. In fact, I set the wrapped loaf on my desk today to continue to enjoy the aroma. I liked the flavor though I found it to be a bit different from bread at some chain steakhouses. I chose the darkest roast coffee I could find and concentrated on the stove top but the final bread was lighter than I expected though very similar to your photo. Any ideas on what could further darken it? Do you think it tastes more like the steakhouse bread with the caraway and fennel or without? Thanks for a fun post. I love trying new breads. My friend Mel and I do a weekly double take (we do the same or similar themed recipe or ingredient). We’ll be showcasing this recipe and your respective blogs this Friday. sometimes to darken bread they actually use chocolate, although I’ve never tried it I have read about it. You could also probably add an dash of kitchen bouquet. I’m glad you enjoyed it, and thanks for the heads up about the bread on your blog, I look forward to reading it! Great post Katrina and Chef Dennis! 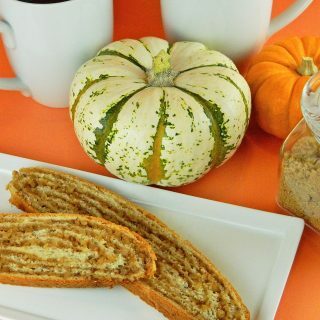 I love both of your blogs and enjoyed your joint efforts with this fabulous bread. I love the steakhouse dark bread. I will have to give this recipe a try! Really enjoy your blog! Thanks for hosting In Katrina's Kichen so we could all find you! Sorry for being so late to this weeks guest post Friday! I love Katrina and her blog (who didn't love those cookie monster cookies??). Her treats always inspire me to try something a little out of left field for myself. I hope things calm down for you soon Dennis! Only a few more weeks! Wonderful dish!! Your students are the BEST!! such pretty photos, i DO love that black bread you get at the steakhouse! 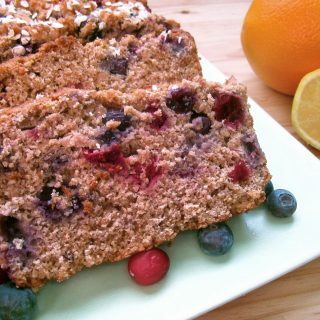 this looks wonderful, thanks for the recipe! Love reading your guest posts Chef D. This is just one of the many way you spread such good karma into the universe. You truly do!! I'm always on the lookout for interesting bread recipes because I bake fresh bread about every other day and like to change it up and make different kinds. This bread looks amazing! I would need to make it in mini loaves and freeze all but one to eat individually…otherwise things could get out of control! What an awesome blog. Thanks Katrina for sending us here… I am off to explore. 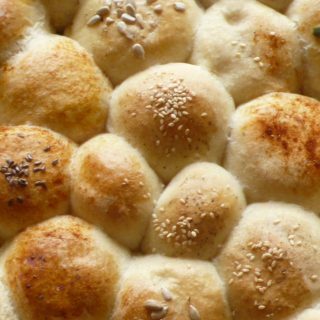 I am so making this bread tomorrow. Beautiful sounding recipe Katrina. I think it would be the perfect base for a cream cheese and cucumber sandwich. Thanks! I am drooling over those photos!! Beautiful job Katrina, as always. Just beautiful Katrina! I love that bread at the steak house. You officially have me craving a loaf. Great guest post! Charlie – thanks for your kind words. I wanted to tell you that is so sweet of you to say that about your grandkids. I can imagine how it must feel not to have them near. I am so fortunate to be able to be home with my kids and serve them breakfast lunch and dinner. Hey Piggy Chef Dennis & Katrina…congratulations ! Top 9# 1 Well done Katrina ! Great to see you here Katrina. Bread looks good enough to eat!! little of this or that, pots and pans all over the floor. I miss them when they aren't here. This is the type of bread you see at some of the best artisan bakeries around NY. I love the fennel in it, and it's just perfect for a Sunday Brunch or a nice, big sandwich! This bread sounds AND looks wonderful. Yum! Kathrina, not only these bread is delicious but these pictures are just outstanding! Love it! Thanks for this great recipe and happy weekend to both! Look how cute your heart butter is! I love it. Hi Katrina…you have a great blog and Chef Dennis always give us the best…be it food or foodie bloggers…and I am glad he introduce you to us. 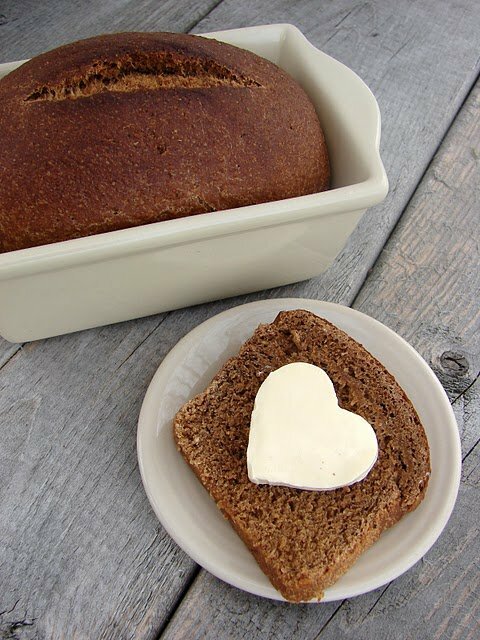 I love this healthy bread and I am sure your growing boys love them with the cute heart shaped butter on it 🙂 Happy Mother's Day to you ! and thank you for sharing this black bread with you. Piggy Chef Dennis…Have a great weekend and thanks for introducing Katrina to us 🙂 Love her blog ! I'm still very often feeling nervous about baking bread, but this bread looks so yummy, I just have to give it a go. Thanks for introducing another wonderful blogger Chef. I'm gonna visit Katrina's blog now. Have a great weekend. I adore Katrina's blog, so glad you featured her! I can't wait to try this bread recipe! Caraway? Fennel? Coffee? Sign me up. I'm making this. Wow, wow, wow. Chef, again, you done good. Thank you for sharing a fantastic blogger with us. Hope you survive the busyness. Chef Dennis you could not have selected a more appropriate mom blogger to share this mother's day weekend on your blog. Katrina and her baking are both amazing! Katrina this bread looks amazing! I will definitely have to try this recipe. I love the pictures as well. Katrina, the bread sounds great, can't wait to make it. Brings back memories of being starving at a restaurant and having a warm loaf devoured before the salad even arrived! I have been reading Katrina's blog for a while. Love it! Katrina, your black bread is just fabulous! I love your heart cut out there of the butter…so cute! Great guest post!! I adore black bread, how wonderful to be able to make a homemade one, looks awesome! Hi Katrina & Chef, great guest post, I can smell that bread over here in my kitchen. It's great you like cooking so much already Katrina, in a few years you will not be able to keep up with those boys. Hope you have a great weekend and a Happy Mother's Day. Hi Chef Dennis and Katrina! 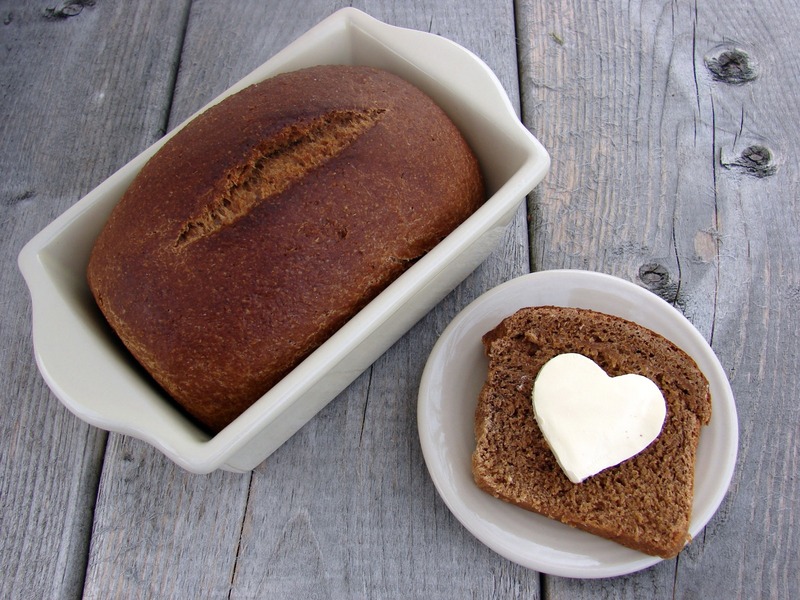 A terrific guest post with this hearty bread – it's my kind of thing. I so understand the element of having kids at your apron strings in the kitchen. Kids and kitchens seem to go together which is why I've hired mine on as sous chefs. Measuring ingredients has gone a long way to helping them grasp math concepts. Have a terrific Mother's Day! What a wonderful looking bread! Good luck with your busy month, Chef Dennis! Oh, Katrina, the bread looks incredible….I'd love a nice warm piece with a little butter right now! I've made this bread before and it is really good so I can definitely vouch for it. My hubby loves it!! Your photos are gorgeous Katrina and I can definitely identify with you and your boys!! The appetite never decreases that's for sure! Great guest post! Chef Dennis…thank you for sharing Katrina with us. Ooh, this is one gorgeous bread! I love the dark color…and I know it tastes amazing!!! Wow this bread looks fantastic! Great guest post! Mmmmmm, I certainly do love that steakhouse bread. I can practically taste it!! Great post. Wonderful post! Great bread! I love Katrina's blog. It's so full of energy and creativity!!! A lovely ode to your mom… a beautiful guest post! I've been a fan of Katrina's blog, too. I have 3 grown boys now, but I can certainly Identify with you, baking when I was stepping on Legos! Your bread is gorgeous, and the heart shaped butter, is so sweet. I'm heading on over t Katrina's blog now! A great guest post Chef Dennis! I'm yet another fan! Katrina, what amazing bread. Sounds delicious and also looks incredible. Don't you just love that sweet heart on top? This will certainly keep any family happy. Great guest choice again, Denis! I'm a big fan of Katrina who always turns out beautiful food from her kitchen. Lovely guest post, and great bread. Love the heart-shaped butter – very cute. 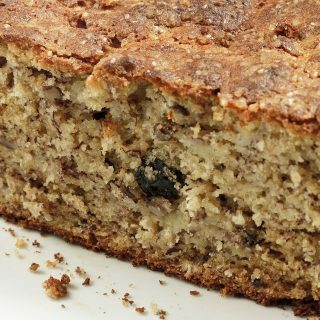 There is absolutely nothing as delicious as homemade bread! hearing about this bread for the first time.looks gorgeous. I recently found both of you – and I'm enjoying following you two and reading your posts. Great post today! Katrina's bread is making me hungry! I love Katrina, she's such a sweetheart, and I'm so happy to see her over here! The bread looks great, I can't resist a warm piece of bread with a good pat of butter either. Katrina is amazing!! She consistently turns out dish after dish that is ultimately appealing. I love hearing about the boys, it brings me back to when my little guy was just a tyke, yep, I baked with hot wheels in my hands too! If they weren't in my hands I was stepping on them on the floor. Enjoy the time Katrina, it goes so fast. And yes, the bill goes up when they become teenagers! LOVE the bread!! I haven't had a good dark bread in ages. My mom used to make something like this and we all loved it. I will have to introduce this to my family. Another excellent guest choice Dennis! Katrina, way to go!! WOW I have to try this bread!! Dark bread is my favorite and yours looks fantastic! I really enjoy making breads but I'm a bit lazy nowadays and that's where the bread machine comes in! As for those boys, I had two boys and few off and on live ins too. Back in the day my groceries were in excess of 350.00 weekly. Holy Cow I don't know how we did it. I can tell you for sure the craziness is worth it!